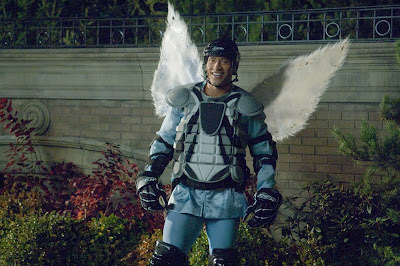 Dwayne “The Rock” Johnson may be big and tough, but in the fabulous new family film “Tooth Fairy,” the magnetic actor finds himself transformed into a tooth fairy … with wings and a wand. He stars as ice hockey player Derek Thompson who has lost faith in himself and in everyone else. A good man at heart but nursing disappointments of his own, he dashes the hopes and dreams of children with discouraging words. As punishment, he is sentenced by Chief Tooth Fairy Julie Andrews to work as one of her minions, a task which turns out to be harder than he ever imagined. But it’s also a life-changing experience. In traditional tooth fairy style, his job is to visit the homes of children who have lost their baby teeth and placed them under their pillows. In exchange for the tooth, the fairy traditionally leaves some money. As the new Tooth Fairy learns the tricks of his new trade, he becomes adept at the job and learns some valuable life lessons. In the process Derek gets back in touch with his own dreams and goals too. Q: Children all over the world will now see you as ‘the Tooth Fairy’, is that a big responsibility? Q: Did you enjoy making the film? Q: Can you talk a little more about Julie Andrews because obviously she’s an icon. You actually hug her in one scene. Q: What do you hope audiences get from this film? Q: As a dad, how special is it for you now making family films and particularly this one? It must be just perfect for your daughter. Q: Having achieved your dreams, you are giving back to kids in the community. What are you doing with your foundation? 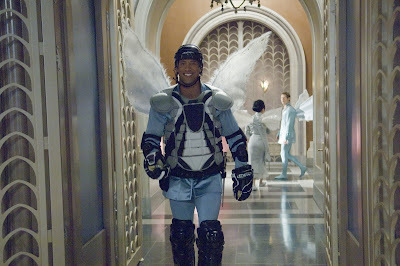 “Tooth Fairy” opens January 22 (Friday) in theaters nationwide from 20th Century Fox to be distributed by Warner Bros.